Whether you’re the proud owner of a vintage Porsche coupe or a contemporary classic, the team at Porsche Fremont is here to help you out with all your Porsche maintenance and repair needs. This includes professional Porsche brake replacements in our state-of-the-art service center. Find out why it’s so important to rely on a Porsche-approved team like the one at our dealership for your brake replacements and other automotive services. As a Porsche owner, you know that your Porsche has been carefully designed, engineered, and built to deliver driving dynamics with the utmost precision and responsiveness. Part of that precision comes from the kind of brakes on your Porsche. When you bring your vehicle to Porsche Fremont’s service center, it’ll be treated to authentic OEM components, whether you’re getting new brake pads or brake discs. Don’t settle for aftermarket brakes for your world-class luxury performance vehicle. 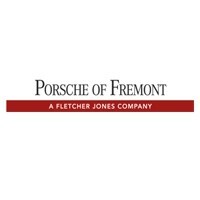 Instead, count on Porsche Fremont to know which OEM parts are right for your vehicle. In addition to providing the highest quality brakes from our Porsche parts department, Porsche Fremont also has a full team of factory-trained and Porsche Certified Technicians on our staff to handle all your brake replacements and other service needs. These professionals have years of experience dealing with Porsche models just like yours, and can perform brakes replacements, as well as other essential diagnostics and maintenance procedures, with the highest degree of care, precision, and attention to detail. Keep your Porsche performing at the highest levels with the help of the certified technicians at Porsche Fremont We’ll get to the root of any brake problems and perform fast, expert brake replacement to keep your vehicle in optimal working order. Schedule an appointment with us online today, or give us a call at (510) 279-7060. Our service and parts departments are open from 7 a.m. to 6 p.m. Monday through Friday, and from 8 a.m. to 3 p.m. on Saturday. You can always contact us online as well.